Not Your Mother's Book Club presents New York Times-bestselling author Kiersten White in celebration of Slayer--book one in her brand-new series set in the world of Buffy the Vampire Slayer. 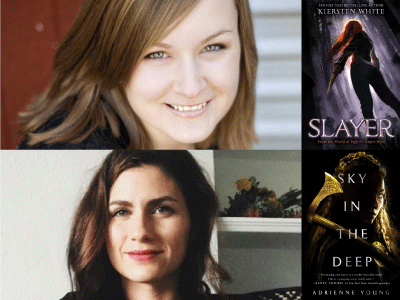 Kiersten will be in conversation with Adrienne Young, author of the much-buzzed debut fantasy Sky in the Deep. About Sky in the Deep: A 2018 Most Anticipated Young Adult book that is part Wonder Woman, part Vikings--and all heart.